The National Research Foundation (NRF) in partnership with the National Skills Fund (NSF) introduced the Scarce Skills Development Fund (SSDF) Programme in 2002. The programme is aimed at training postgraduate students in scarce skills areas as identified by the Department of Labour (DoL). The NSF operates under the Department of Higher Education and Training (DHET). The programme supports students at South African Higher Education Institutions (HEIs) and Science Councils. Applications for support are invited from students who wish to enrol for Honours, Masters, Doctoral studies and postdoctoral research training at public Higher Education Institutions in the scarce skills study areas for the current academic year. Criteria for awarding scholarships are based on academic potential and excellence as well as research potential and, funding is awarded on a competitive basis. This is to ensure that despite the obligation to meet race and gender targets, quality remains the desired outcome. 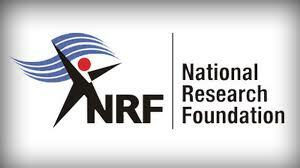 Postdoctoral research fellowships: R165 000 per annum plus R35 000 running expenses. Register/ Login using your email address and password. Select create new application from the list of existing calls. Select the call for which you are applying to: Scarce Skills Scholarship Call. Complete all screens and sub- screens online for application summary, project information, supervisor and referees and research outputs. Once complete click on the check completeness and submit form tab to check if all sections are complete. Click on the submit application tab. Your application will be directed to the NRF for further assessment and selection through a panel review process. A list of successful applicants’ names can be found on the NRF website under the student link in the middle of July.